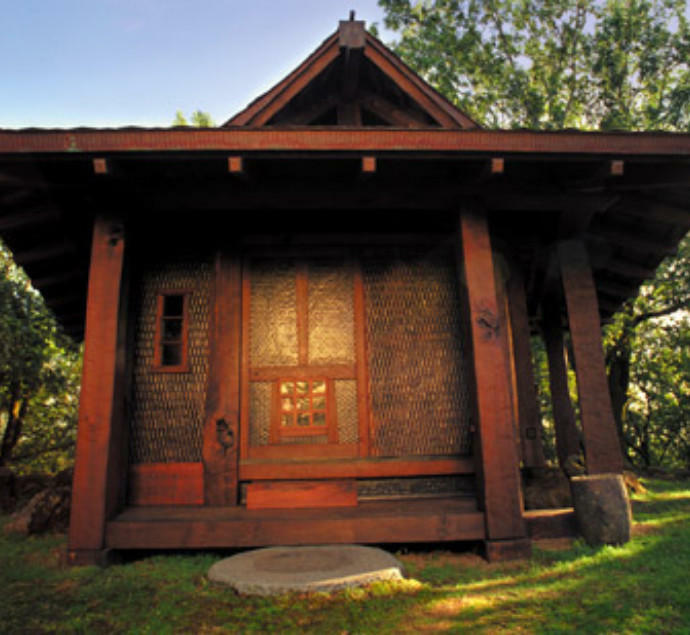 The entrance to Bruce Johnson's Poetry House, as it stood at paradise Ridge Winery a decade ago. 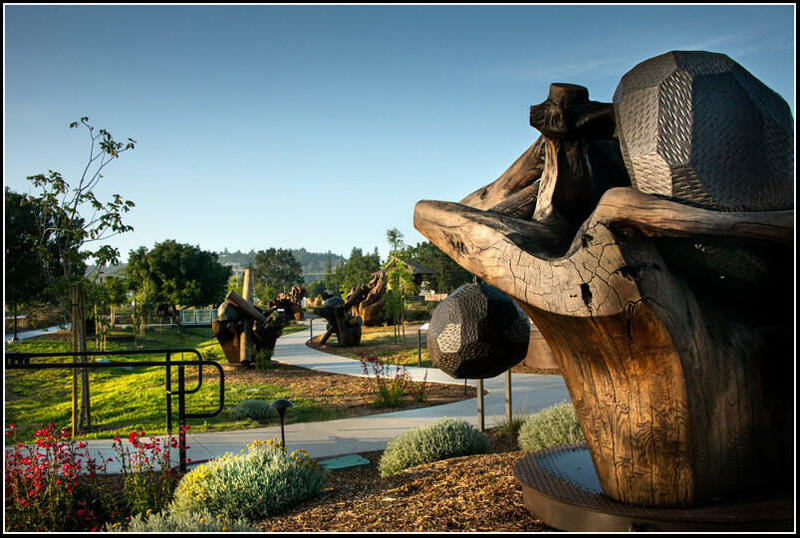 Johnson's massive wood and metal sculptures dot the pathway through the sculpture garden at the Luther Burbank Center for the Arts. 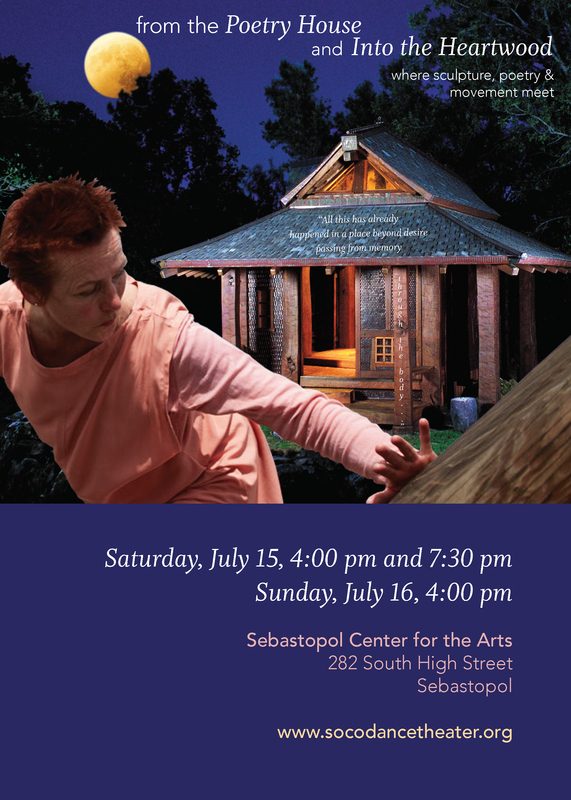 The events bringing all this together are billed as "from the Poetry House and Into the Heartwood," happening Saturday, July 15 and 4 and 7:30 pm and Sunday, July 16 at 4 pm, all at the Sebastopol Center for the Arts. You can find more details here. In May, 2015, KRCB broadcast this North Bay Report on the preparations for Bruce Johnson's "Roots 101" exhibit at the Luther Burbank Center. Johnson was also featured in this segment of KRCB's video series, Sonoma Inspired.